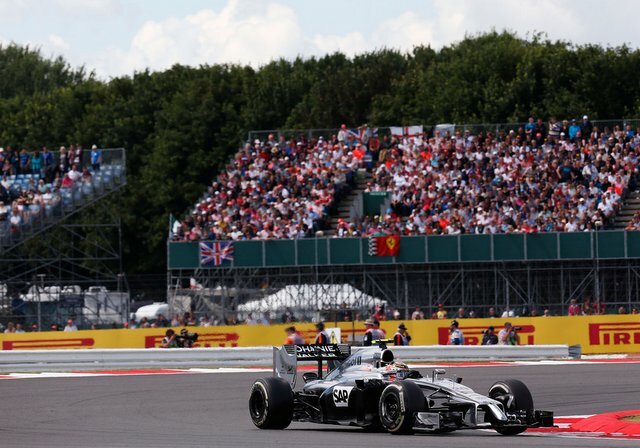 The British Grand Prix at Silverstone is one of the UK’s greatest sporting spectacles. Witness the best drivers and most technologically advanced cars in the world battle it out around the fastest circuit on the Formula One Calendar. Bespoke Air Charter offers convenient and stylish alternatives to endless hours spent in the traffic so you can arrive feeling fresh and fabulous. On race day the dedicated heliport at Silverstone becomes the busiest in the world with hundreds of aircraft movements. From the early hours until late into the evening helicopters shuttle clients into the event where they are greeted with a glass of champagne on arrival and VIP transport to trackside. The team at Bespoke Air Charter have experience organising charters that range from short local flights from a nearby airfield to larger groups requiring multiple aircraft and multiple trips. We will source you the most cost effective and best helicopter for your trip and ensure you receive a smooth, hassle free experience on the day. Helicopter charters are available from London Battersea Heliport as well as the smaller regional airfields that surround the capital. We can also offer flights from further afield and are also able to offer turboprop charters to nearby Turweston airfield, if that proves to be the most cost effective and quickest solution. Arriving at the Silverstone circuit by helicopter is an experience not to be missed. Your day starts in the best possible way as you are flown into the circuit, avoiding all the congestion on the roads around Silverstone and getting a spectacular aerial view as you arrive. The VIP treatment continues at the arrival terminals, with a glass of champagne and dedicated transport to your hospitality. And at the end of the day’s racing, avoid the queues of people trying to leave the circuit as you depart.